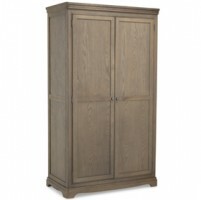 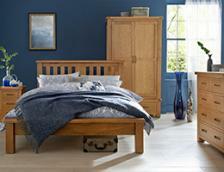 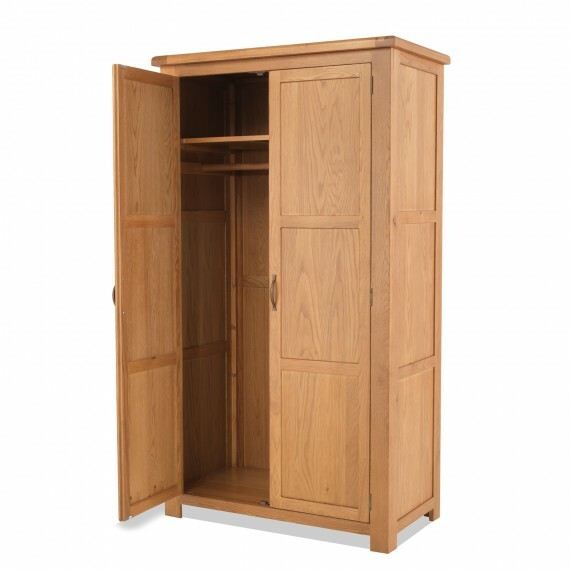 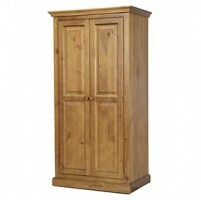 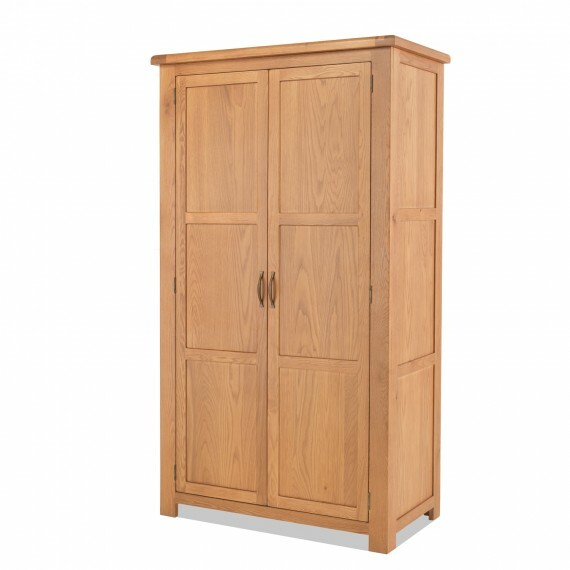 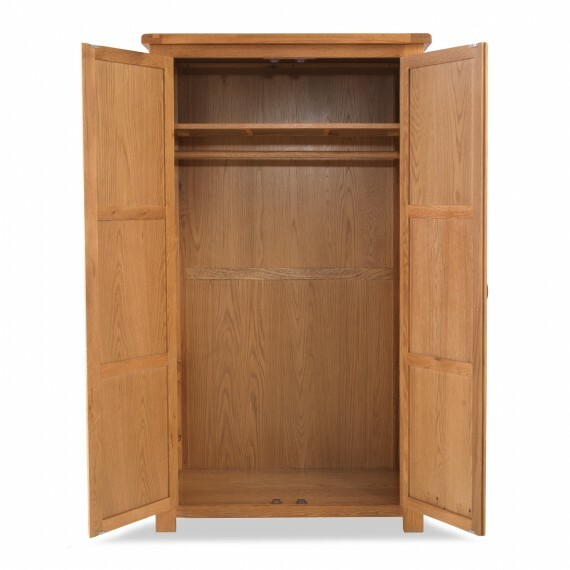 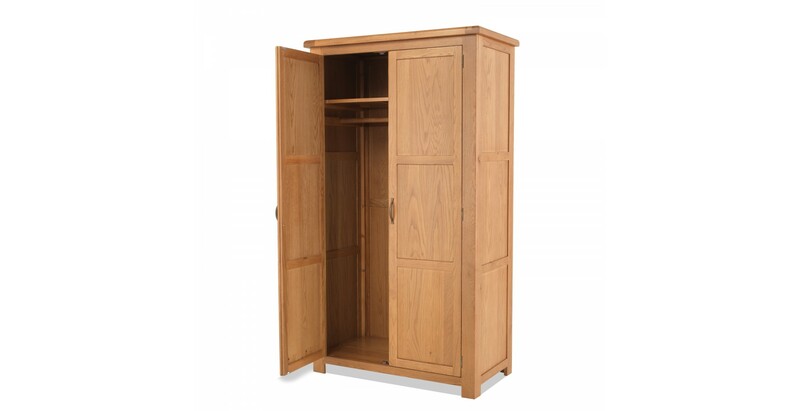 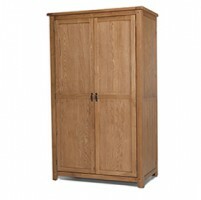 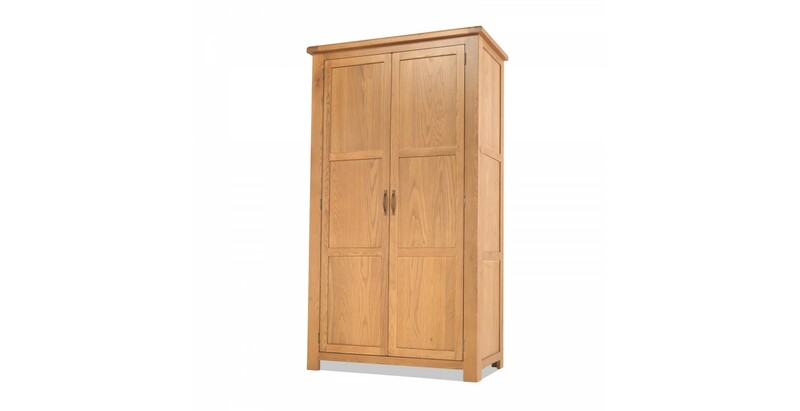 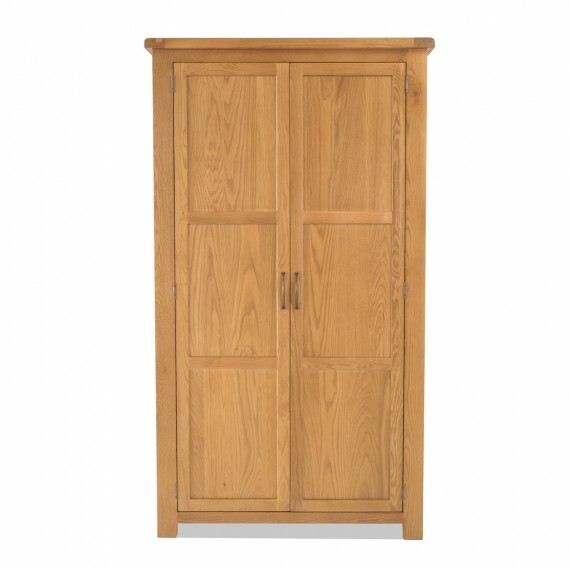 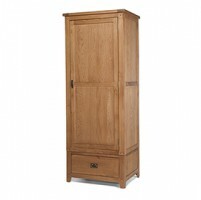 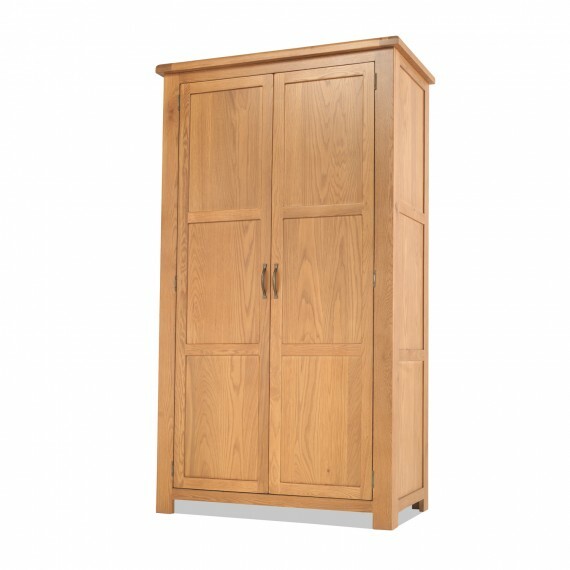 Add some country-style warmth and ample storage for all your long frocks in this beautifully made wardrobe. 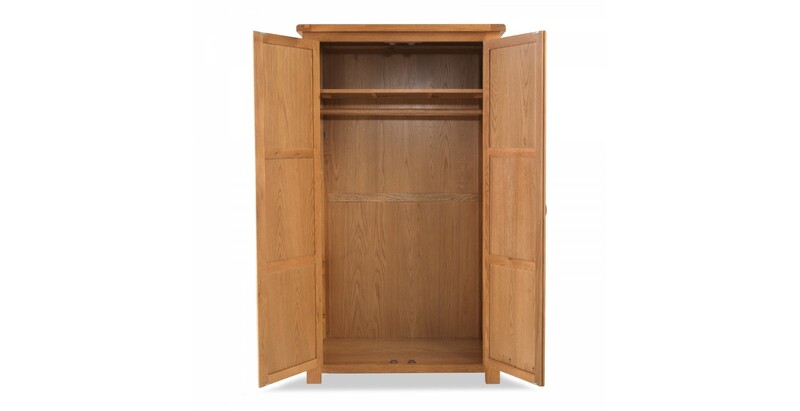 With full width hanging space behind the double doors, it’s high enough to line up a few pairs of going-out shoes at the bottom too. 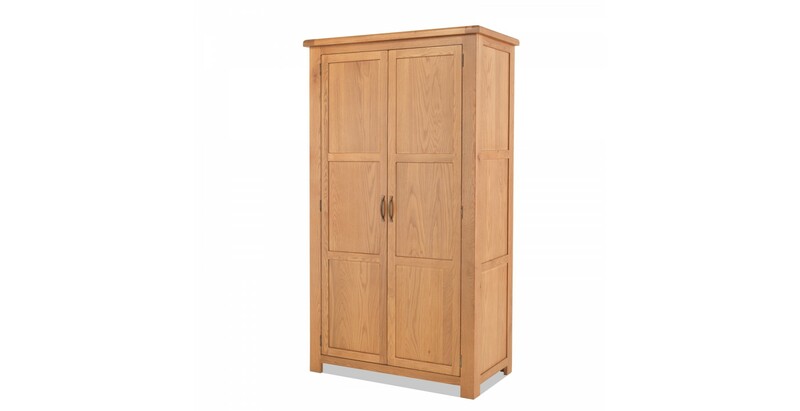 Crafted from solid oak and oak veneers, it’s protected by a wax lacquer that also serves to highlight the intricate grain patterns. 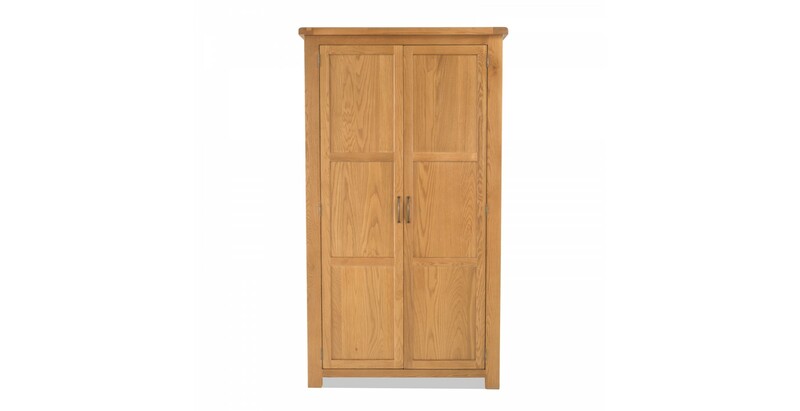 With subtle peg detailing, rounded corners and a chunky top adding character, this timeless piece will be at home in both traditional and contemporary decorating schemes.